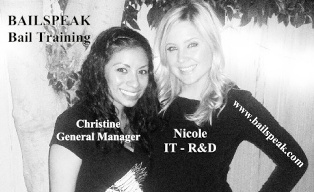 Why are the Bail Industry's Top Bail Recruiters Sending New Hires to Bailspeak? Why are Bailspeak Alumni now Sending Their Own New Hires to Bailspeak? 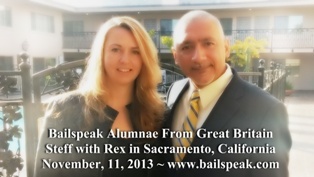 Bailspeak's First-Time Bail Exam Pass Rate is "Legendary," according to its Alumni. Bailspeak Provides a Fun and Safe Learning Environment. 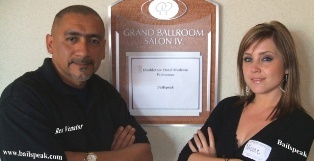 Bailspeak is the only Bail Education Provider with a Primary Instructor who is a Veteran and Active Bail Bondsman and Bounty Hunter. 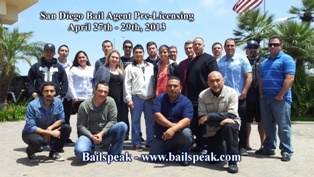 Bailspeak is California's Fastest Growing and Most Trusted Name in the California Bail Bonds Industry! 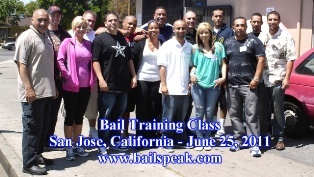 This California Department of Insurance Approved Course Exceeds Bail Education Requirements and Continuously Resets Industry Standards to Become a Bail Bondsman or Bounty Hunter and with Bail Certification Instruction by licensed Bail Agents and is led by a Veteran Bail Bonds Business Owner with over Two Decades of Running Profitable Bail Companies Covering all Aspects of the Bail Bonds Business such as Bail Bond Motions, Sales, Marketing, Accounts Receivable, Accounts Payable, Small Business Operations, Human Resources and etceteras. 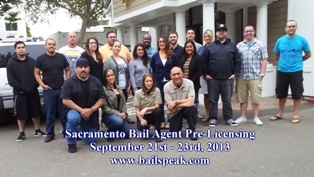 Sacramento, Modesto – Salida, Stockton – Lathrop, San Jose, Bakersfield, Los Angeles County, Riverside County, San Diego County, and Private Bail Classes held at undisclosed locations in Roseville, Glendale, and throughout private bail agency offices by special request. 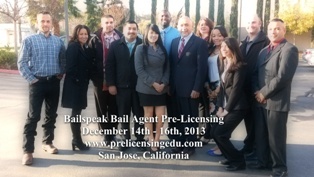 Bailspeak is insurmountable in leading the way insofar that it is the only California Bail Pre Licensing, department of insurance Approved Bail Agent Training School that cannot be replicated in terms of its originality, evolving course methods, and—above all else—its complete and total transparency as evidenced by the photos, videos, and verifiable Alumni testimonials that you will find on the Mother Website and its sister websites in support of its absolute, unparalleled and stellar bail industry reputation—bar none! 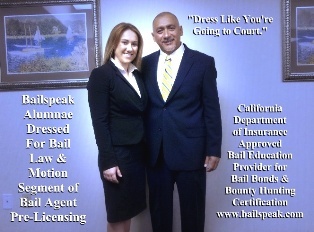 The Bailspeak California Department of Insurance Approved 20 Hour Bail Agent Pre-Licensing Course includes a full day of the totally Exclusive Advanced Bounty Hunting Bail Law and Motion Studies with an emphasis on minimizing the liability associated with invasive forfeiture liability management or overt bounty hunting, and how to file and argue an application in a California Superior Court seeking a favorable ruling—based on actionable points of law—as an agent for a surety and all of which while understanding California Appellate Court trends in favor of encouraging non-opposition. 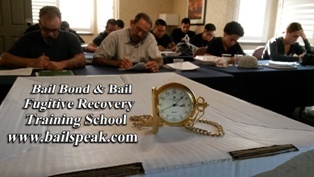 Plainly Stated: This is a Real Bail Bond Training School with Real Results for its Alumni. DO YOU NEED FUGITIVE RECOVERY EQUIPMENT? 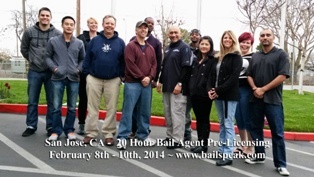 WOULD YOU LIKE TO PICK UP YOUR BAIL ENFORCEMENT GEAR AT YOUR BAILSPEAK 20 HOUR BAIL AGENT PRE LICENSING CLASS? 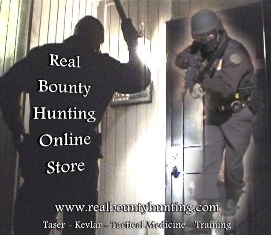 THE ABOVE PHOTO will take you to Bailspeak’s Newly Renovated Bail Enforcement Online Bounty Hunting Gear Store or Please See the Below Video for More Information about its current and upcoming bounty hunter supplies.